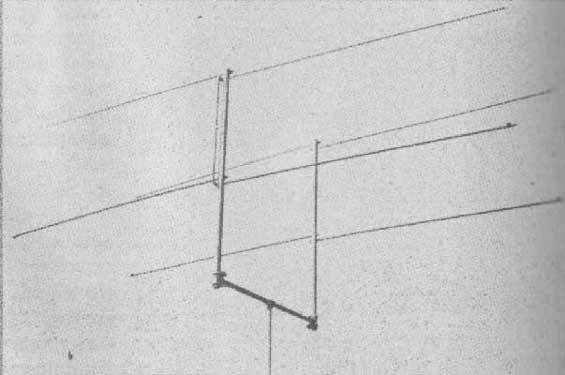 FM radio station antenna, and one for experiments with RCA's 288 MHz television transmitter. You could see the antennas on the Empire State building when you were looking up through the trapdoor in the roof. O.B. Hanson was the inspector of the antennas after it was installed. might be VHF/UHF/FM/HD antenna any of these kinds or size. person would need help with the size of this TV antenna. 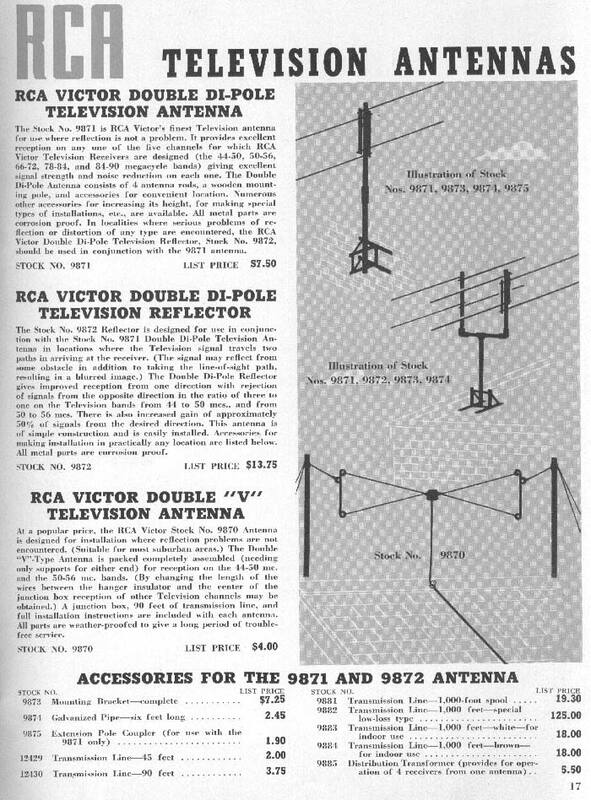 At the bottom of this page is an article for RCA television antenna equipment that was for sale in the paper. Check out the prices of the products then..
Wouldn't you like to shop at those prices for your TV antenna and equipment now. Please shop at our on line store for all of your TV antennas, amplifiers, rotors, or mounts. We carry detailed information for the do it yourself television antenna installer. If we can help you call us at 1-800-528-9984. Today some television antennas have an amplifier and a rotor on them. HDTV antennas what do you think?